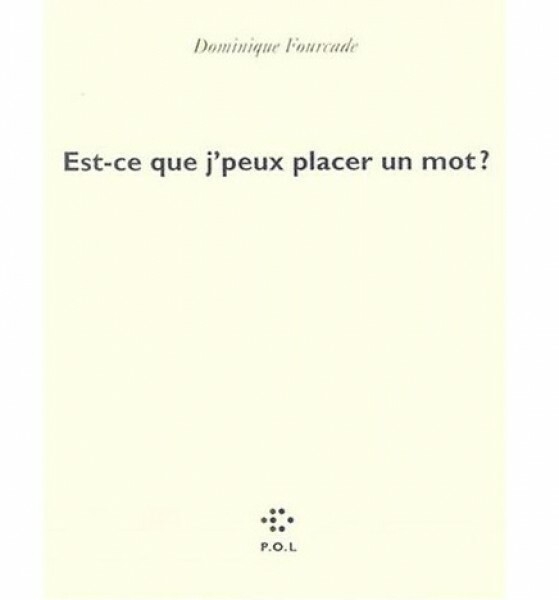 Dominique Fourcade discusses his relation with the great French Resitance leader and poet René Char; his experience in the Algerian war; and his work Tout arrive. Fourcade is a poet, art critic and curator living in Paris whose interests include David Smith and Henri Matisse. In 1998 he was awarded the Grand Prix National de Poésie, France's highest honor for poetry (26 minutes).